Do you love to dress your little ones in cute clothes that can and do make a statement? I know that I have always loved cute clothes for my kiddos and fun ones that make cute statements. I especially love when I can find one that fits the child's personality. 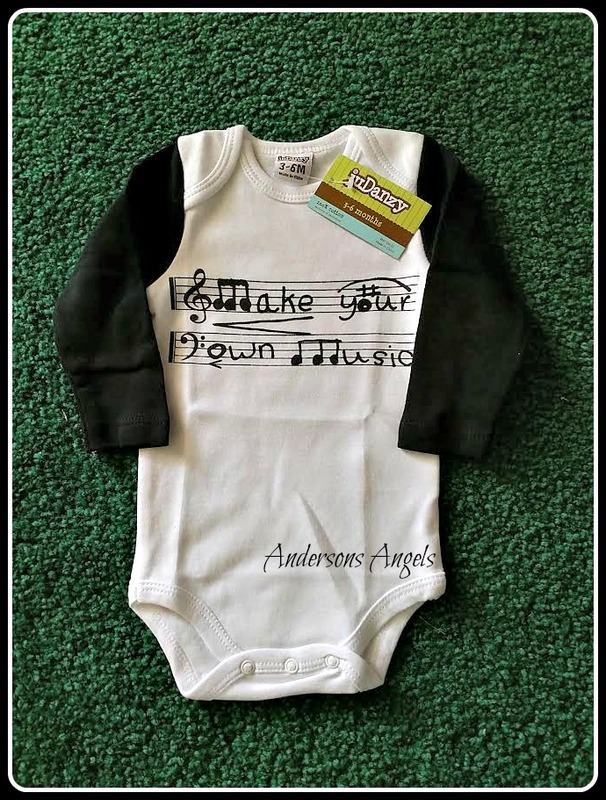 I was recently given the opportunity to review an adorable onesie with Peanut from juDanzy. I received the adorable "juDanzy Make Your Own Music " onesie for Peanut to review. I loved this onesie! We are a family that is very big on music and encourage our children to explore their music abilities. We currently have 3 in choir at church, 1 trying choir at church, 1 in school band and I am getting ready to start giving piano lessons to Sweet Pea. Mr. Anderson has a beautiful voice and sings on our Praise team at church and also plays the piano. He wants to learn how to play the guitar but hasn't had the time to get lessons. I was in choir and band while in school and also know how to play the piano. 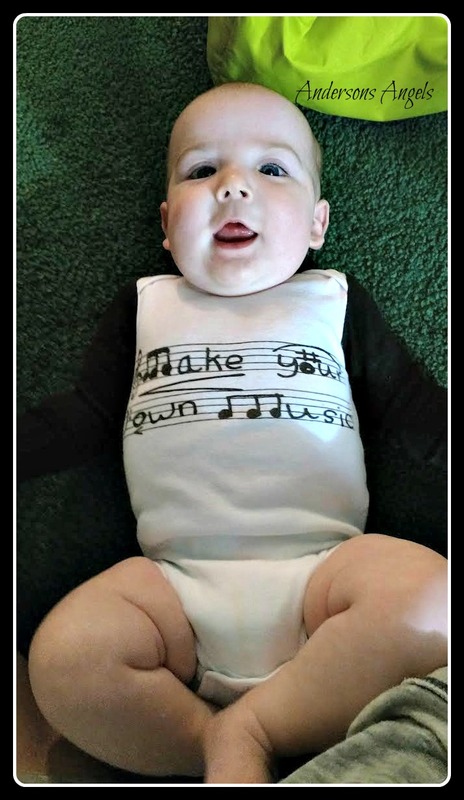 Peanut is a very vocal baby and loves to make his own "music" so this onesie fit his personality wonderfully. JuDanzy offers a variety of children's clothing and at affordable prices! I know that I love buying cute clothes for my kids but I don't want them to break the bank. If you have any little ones or know someone who is expecting and you are looking for adorable clothes I would definitely recommend checking out juDanzy. This would be so perfect if my DIL has another baby. She loves music and encourages it in all children.